There is hope for women looking to restore hormonal balance naturally- Fem Rebalance! Hormonal imbalance may happen for many reasons, such as environmental pollution, stress, miscarriage, IVF, HRT, postpartum hormonal changes, post lactation, perimenopause, and rapid weight loss or gain, and more. For women who have fertility issues due hormonal imbalance, herbs may be helpful in restoring a regular menstrual cycle. Fem Rebalance is an herbal blend for women who would like to restore hormonal balance. The herbs were chosen and formulated specifically for women who would like to get their hormonal cycles back on track. The herbs work with the body to restore hormonal balance. When a woman is experiencing menstrual cycle irregularity, or absent period, the body may be under great stress. Along with diet and lifestyle changes, fertility herbs are a great way to support the body and to guide it back to balance. There thousands of women out there struggling to get their menstrual cycles back on track, but have no idea where to begin. After a cycle of Fertility Cleansing, Fem Rebalance is a good choice for continued support of the body in re-setting the hormonal feedback loop. Proper release and production of all hormones is essential to a balanced menstrual cycle and healthy fertility. Licorice Rt. (Glycirrhiza glabra): a wonderful hormone balancer, licorice root helps to maintain proper hormone production and release. Licorice is an adaptogen herb, supporting the body in times of great change or stress. Licorice may also work to support proper adrenal gland and liver function. Proper adrenal gland function is necessary for hormonal balance. Contains immunomodulating properties, helpful for immune-related fertility issues. Also reduces inflammation. Vitex, Chaste tree berry (Vitex agnus-castus): Vitex supports hormonal balance in the body by having an effect on the hypothalamic-pituitary-ovarian axis (hormonal feedback loop). Vitex has been found to help normalize ovulation. Vitex increases luteinizing hormone (LH) production while mildly inhibiting the release of follicle stimulating hormone (FSH). This indirectly boosts progesterone production. Vitex has also been shown to reduce PMS symptoms. Rhodiola (Rhodiola rosea): is an adaptogen, aiding the body in times of stress and change. Rhodiola is a potent antioxidant, working to protect the body from environmental toxins that may be contributing to hormonal imbalance. It works to help prevent depression during hormonal changes. Its balancing effect on the endocrine system support overall hormonal balance, stress, and immune support. Borage (Borago officinalis): high in gamma linolenic acid (GLA), which is an omega-6 fatty acid. GLA is needed for the synthesis of prostaglandin E. Prostaglandins are not hormones, but rather messengers that act on many different cells. Prostaglandins help control regulation of hormones as well as control proper cell growth. Borage is also anti-inflammatory, reducing pain. Maca (Lepidium meyenii): is a nourishing food for the endocrine system, aiding both the pituitary, adrenal, and thyroid glands (all involved in hormonal balance.) Maca has the ability to affect key hormones without containing hormones itself. Its main action is to stimulate and nourish the pituitary gland, acting as a tonic for the hormone system. When the pituitary gland functions optimally, the entire endocrine system becomes balanced, because the pituitary gland controls the hormone output of the other three glands. Vervain rt. (Verbena officinalis): excellent tonic for the female reproductive system, especially the uterus. Vervain offers support for hormonal adjustment, reducing headache, anxiety, and nervous tension. Reduces PMS. Sarsaparilla rt. (Smilax medica): supports healthy hormone production, especially testosterone and progesterone production. Wild Yam rt. (Discorea villosa): helps to promote normal hormone levels and overall balance within the reproductive system. Wild Yam may also help the uterus to work more efficiently during menses. This uterine support allows for proper function of the uterus while working to prevent uterine cramping or spasm. Black Cohosh (Actaea racemosa): Black cohosh has been used for hundreds of years to help bring on a menstrual period. Aids in tone, regular function and shedding of the uterine lining. Very anti-inflammatory, antispasmodic for uterine cramping, aiding in menstrual pain. Toning for the uterus. Fem Rebalance is best used as part of natural fertility healing plan and pregnancy preparation, but is best not used while trying to conceive. When working to balance hormones, it is best to give your body at least 3-6 months of support and healing, without actively trying to conceive. Herbs are not meant to be a substitute for diet and lifestyle changes. Be sure to eat a whole food nutrient-dense Fertility Diet, exercise regularly, all while finding ways to lower daily stress for best results. Suggested Daily Usage: 2 Capsules Daily, all month long, except during menstruation. Caution: Do not use in pregnancy or lactation. Do not use if you have hypertension. If you are a woman who has hormonal imbalance and have no idea where to begin, Fem Rebalance may be a great choice. 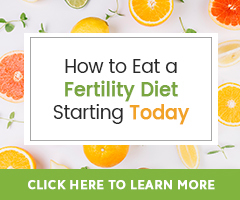 Using a Fertility Cleanse for a cycle prior to beginning Fem Rebalance helps to first cleanse excess hormones and toxins from the body, which directly impact hormonal balance. Fertility Cleansing creates a “clean slate”, which allows your body to utilize and respond better to the herbs in Fem Rebalance. The herbs in Fem Rebalance support your body through the changes that need to take place to attain hormonal balance once again. Support the endocrine system, immune system, liver, and reproductive organs with Fem Rebalance. Hi Ladies, I’m wondering if Fem Rebalance can be taken to bring back menstruation after some cycles with Femara and Progyluton (HRT). I’m trying to get pregnant and was 2 months on HRT to try to regulate my cyles as they were 38days long. While on HRT cycles were 28 days long, I was put then on Femara -no pregnancy- and 57 days after my period has not come yet. Would Fem Rebalance help to bring it back? Thank you for all your support to the people with fertility issues. We are happy to have the opportunity to support you and so many women/couples on this journey. Thanks for reaching out to us! Fem Rebalance supports the body’s natural ability to restore normal hormone balance after taking synthetic hormones. It may not alone be all to be considered however. 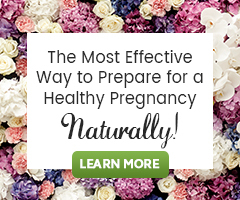 Consider also learning about Fertility Cleansing, eating a Fertility Diet, Fertility Massage and Castor Oil therapy, as well as additional Natural Remedies To Bring Back A Healthy Menstrual Cycle. how do i get this fem rebalance?